What is your idea of a happy ending? 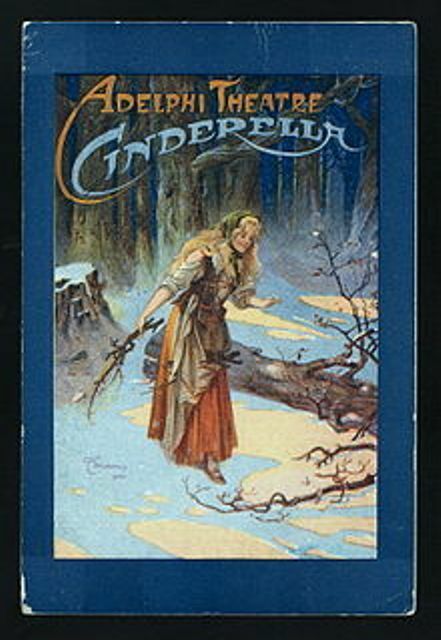 For most people, the ideal happy ending appears to mirror the ending of the Cinderella fairy tale: obstacles and problems (step-sisters and step-mother in Cinderella’s case) are overcome; the protagonist wins the love of his/her life (the prince gets Cinderella/ Cinderella gets the prince); and the two ride off into the sunset. This impression of a clichéd ‘happy ending’ is far from true. As a first example, there is Hans Christian Anderson’s tale The Little Mermaid. The ending for the Disney film bears absolutely no resemblance to the ending of the fairy tale – which is fine; Disney’s The Little Mermaid is a wholesome movie that can be enjoyed and mined for philosophical purposes just as much as Anderson’s fairy tale. At the end of Anderson’s The Little Mermaid, the Little Mermaid does not win her prince’s hand in marriage. Unlike the film, this failure will not result in her enslavement to the sea witch. In the fairy tale the penalty is far higher – either the Little Mermaid wins her prince’s heart and marries him by her third day on land, or she becomes sea foam as soon as she touches the ocean water on the third day and dies. In the fairy tale, the prince awoke on the beach after the Little Mermaid rescued him and found a girl from a nearby temple standing over him. Believing it was this girl who saved him, the prince marries her instead of the Little Mermaid, breaking the Little Mermaid’s heart and seemingly dooming her to oblivion on the morning of the third day. However, the Mermaid’s older sisters (their number appears to change with each telling of the story; Anderson wrote the Little Mermaid as the sixth and youngest child for the fairy tale) arrive at the side of the prince’s ship – where he married the other girl – before sunrise of the third day. The five sisters have paid the sea witch with their long hair to buy a remedy for their sister’s plight. The ‘remedy’ turns out to be this: to live, the Little Mermaid must kill the prince and let his blood drip on her feet. This will give her back her mermaid tale and the typical mermaid lifespan of three hundred years. To kill the prince, the witch gave the sisters a special knife, which they in turn toss to the Little Mermaid. But the Little Mermaid cannot bring herself to kill the prince. Instead, she tosses the knife overboard, and then follows it into the water a moment later. This is not a ‘happy ending’ at all, right? Well, this is where Anderson surprised everyone. Instead of killing the Little Mermaid, Anderson let her sacrifice earn her a second chance at happiness. Instead of dying when she touches the water, the Little Mermaid becomes a ‘Daughter of the Air’ – an invisible sprite that lives in the air. This will not help her marry the prince, who is already blissfully in love with the girl who found him on the beach. But it will give her the chance to gain a human soul, one of the periphery advantages she would have gained if she had married the prince. She and the other Daughters will have less time to wait for their soul when they see a child who does good, but a day will be added to their wait whenever they witness a child doing wrong. The ending to the Little Mermaid’s story is not the only example of a ‘non-standard’ happy ending. At the end of the play Cyrano de Bergerac, for instance, Cyrano wins the love of Roxann, his cousin. But he wins it moments before he dies, killed because he spoke out against the corruption of the French court far too long and far too loudly. Also, after his injury at the end of the Legends of King Arthur, Arthur is whisked away to the mystical Island of Avalon as his kingdom falls apart. He will remain on Avalon, according to the legend, until his kingdom needs him once again at some future date. Fat lot of good that is going to do his subjects and his remaining knights, isn’t it? Yet Arthur’s story still ends in this way. So Frodo leaves the Shire and Middle-earth with Bilbo, the Elves, and Gandalf, crossing the sea to – essentially – leave the land of the living for life beyond it, a life where he can be healed. This is not an ‘unhappy’ ending at all. It is tinged with sadness because now those who knew and loved Frodo will not be able to share the rewards for their work with him, as they naturally wished to do. But they know that where he is going he will be happier there than he would have been in Middle-earth, even in the beautiful Shire which all the Hobbits love. In Star Wars, Luke Skywalker turns his father from the Dark Side of the Force to the Light Side of the Force. He does not do this through pleading with Anakin Skywalker/Darth Vader, though his speeches may have had some influence on Vader’s change of heart. No. Luke saves his father by refusing to kill him, by willingly facing death rather than commit patricide. This, combined with watching Emperor Palpatine’s joyous torture of his son, turns Vader to the Light side of the Force. Vader saves his son’s life – at the cost of his own. Lucas wrote the ending for the film this way partly, I believe, because though Darth Vader/Anakin Skywalker had saved his son and had been saved by his son, he could not remain in a galaxy that had hated and feared him for so long. So instead Anakin Skywalker dies and becomes one with the Force. Again, this is a happy ending with a touch of sadness. It is sad because Luke will not get to know his father for as long as he wanted to know him. He discovers his father in time to say good-bye. But the ending for Jedi is a happy ending all the same because, while Anakin saved his son’s life, Luke saved his father’s soul. It is a happy/ sad ending. These endings listed above show that ‘happy’ endings are not all of one shape. A ‘happy’ ending can and often does take several different forms. That may be true. Were it up to me I certainly would not give such characters as, say, Hannibal Lecter or the villain of Shakespeare’s Othello, Iago, a happy ending. I would just as soon kill off either character with a lightning bolt before or after the story was done and have done with them. But then I am reminded of Gandalf’s words regarding Gollum, “Deserves it [death]! I daresay he does. Many that live deserve death. And some that die deserve life. Can you give it to them? Then do not be too eager to deal out death in judgment. For even the very wise cannot see all ends.” – Chapter Two of The Lord of the Rings: The Fellowship of the Ring. By all accounts, Gollum was a disgusting creature, complete vermin. In the books it is mentioned that he not only fed on wild animals but, on his journey through Mirkwood toward the Shire (which he thankfully never set foot in), he would sneak into the cottages of the woodsmen who lived near Mirkwood and ‘look in’ on the cradles they had in their homes. Then there is the fact that, before losing the One Ring, when he tired of fish Gollum would capture an Orc for dinner. He even splashed into the Dead Marshes on his journey out of Mordor in an attempt to feed on the bodies in the mire there. From every angle of his case, Gollum should have been killed. But both Frodo and Gandalf refused to kill him or let him be killed, and that proved to be what saved Frodo in the end. This is also true. However, I would say that this is true of biographers, or writers who base their fiction closely on actual events. Most fictional stories are allegorical, and therefore they carry very little with them that is real, beyond certain unchanging truths. Fictional stories, therefore, usually have happy endings. Now these are the authors I have a real beef with, because there are such things as happy endings, inside fiction and out of it. As for the ending of The Little Mermaid, one could argue that it is a bribe to make children behave, but I think this is a mistake. I think this because characters are not – or should not – be given endings they ‘deserve.’ Characters should be given – and they usually receive – rewards for their decisions and actions the way that a child is rewarded for his/her behavior. As Tolkien pointed out through Gandalf, it is impossible in this world to know what anyone truly ‘deserves.’ However, it is quite possible to discern what a character has earned by analyzing their actions, thoughts, words, and decisions throughout a story. This is something some authors do instinctively, I think. Tolkien, Chesterton, Shakespeare, Andre Norton, etc., all had a knack for knowing what their characters had earned and what they had not. That is why they are great authors. How many children consider the warning of “… you better not pout, you better not cry…” until their folks are dressing up the Christmas tree? Not very many – and I should know; I was one of them once! Summer activities leave little room in most young noggins for any of them to think about Christmas. I sincerely doubt that children would think very much about the Little Mermaid’s waiting period while splashing around in a pool. And they definitely would not remember it in the middle of a snowball fight or a ride down the hill on a sled. If one were to end stories with what a character ‘deserved,’ then Darth Vader would have let his son die in Return of the Jedi; the Black Widow would not be a member either of SHIELD or the Avengers; Cyrano would have married Roxann; Arthur would have died; and Frodo would be dead. These characters did not receive the end that they ‘deserved.’ They received the end that they had earned – just as people in real life receive or will receive what they earn, not what they deserve. That is a valid question. And the answer, I believe, is this: these stories are warnings about the cost of choosing evil. Think about it. What befalls Frankenstein – the scientist, not his monster – after he ‘creates’ new life in an attempt to conquer death? Doctor Frankenstein’s life is ruined as the monster he ‘created’ harangues him for his remaining days, killing everyone close to the doctor. Frankenstein finally goes on a hunt to destroy the monstrosity he made. He eventually dies in the Arctic on a research ship, where his monster comes to lament over Frankenstein’s dead body about its own stark fate. In Othello the villain Iago tells his commander Othello that Desdemona, Othello’s wife, is unfaithful to him. Othello eventually comes to believe Iago’s story and kills Desdemona. Eventually the truth comes out through Iago’s wife: Desdemona was in fact faithful to Othello, and he murdered his wife for nothing. Today’s ‘dark’ fiction sees zombies or vampires taking over the world, or horrible people doing horrible things for no real reason. Analyzing most of this new ‘dark’ fiction, where everything ends in despair and death, one finds no warnings and nothing else of practical value. This is why ‘happy endings’ to stories today are so much more preferable now than they were in the past. Frankenstein IS a warning. The Little Mermaid is a sign post pointing the way to the destination everyone seeks, though they may not know it or know how to seek it properly. That destination is eternity; the end for everyone in the world. What one finds on the other side depends on how they live, and how they seek eternity. As my blog title – “Thoughts on the Edge of Forever” – suggests, I am not there yet. Else it would not be “on the Edge” of forever. It is a journey and there is much yet to see. But to lose sight of the prize is to lose everything. And so, viva happy endings! This entry was posted in Essay and tagged Cinderella, Essay, Frankenstein, happy endings, Othello, The Little Mermaid, Wuthering Heights on January 20, 2014 by The Mithril Guardian.